Beautiful Fjaerland is the place where the Sognefjord meets Jostedalsbreen Glacier with its white and blue arms hanging down steep mountains. Some tourists have named it the most beautiful glacier village in the world and we could not agree more. The village with almost 300 inhabitants is officially an international Book Town, with 10 second-hand bookshops in a variety of abandoned buildings – from ferry waiting rooms, stables and local banks to post office and grocery shop. 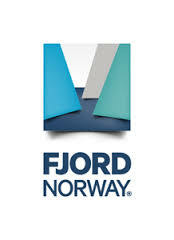 In Fjaerland we have a variety of possibilities for accommodation, food and things to do. Like old fashioned wooden hotels, a glacier museum, restaurants just beneath the glacier and next to the fjord, beautifully placed cabins for rental and activities second to none such as glacier walks, hiking and kayaking. Browse through this website to find out more! And guess what, if you are really interested in this glacier village you should check out what life in Fjaerland is like. Fjærland is the district surrounding Fjærlandsfjord, a branch of Sognefjord. Fjærland has 300 inhabitants, and is part of Sogndal municipality. The centre in Fjærland is Mundal, about 3 km from the main road, down the fjord. Most people in Fjaerland are engaged in farming and tourism. Locals in front of Bøyabreen Glacier. Fjaerland is the perfect destination for hiking, glacier walks and fjord activities in the summer. Fishing in the fjord or the river in spectacular surroundings, is second to none. In the winter, backcountry skiing to majestic peaks gives you unforgettable fjord views and wild powder snow.